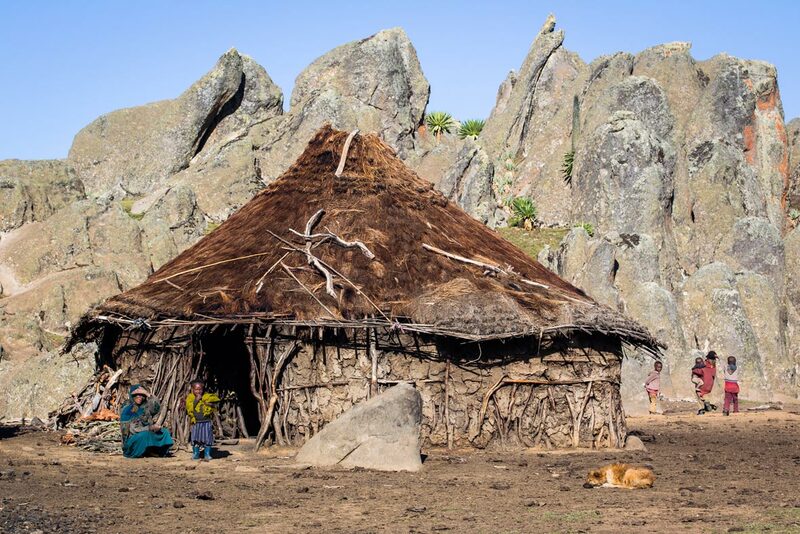 These highlands, which stretch across much of central and northern Ethiopia, are home to some of Africa’s highest peaks. 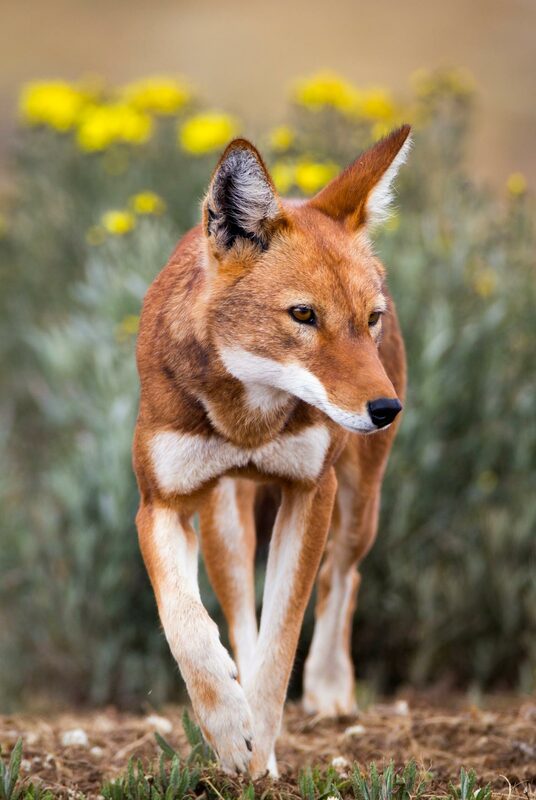 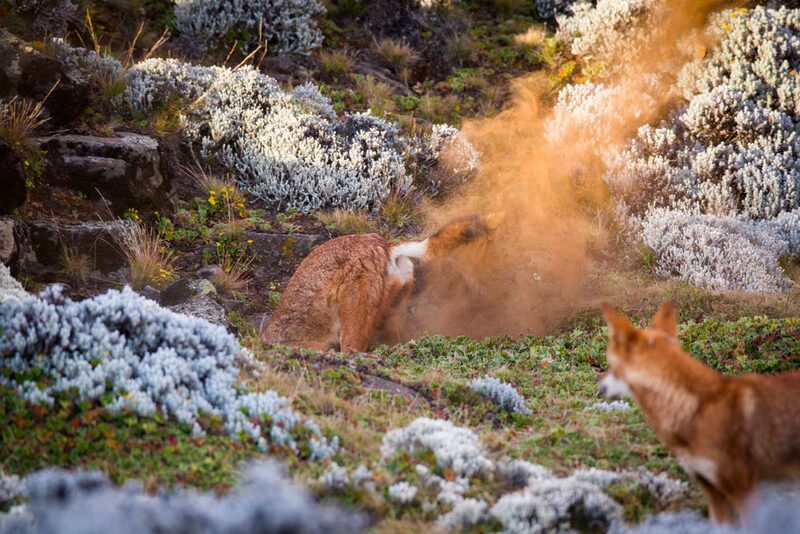 They’re also the last—the only—stronghold of the continent’s rarest carnivore: the Ethiopian wolf (Canis simensis). 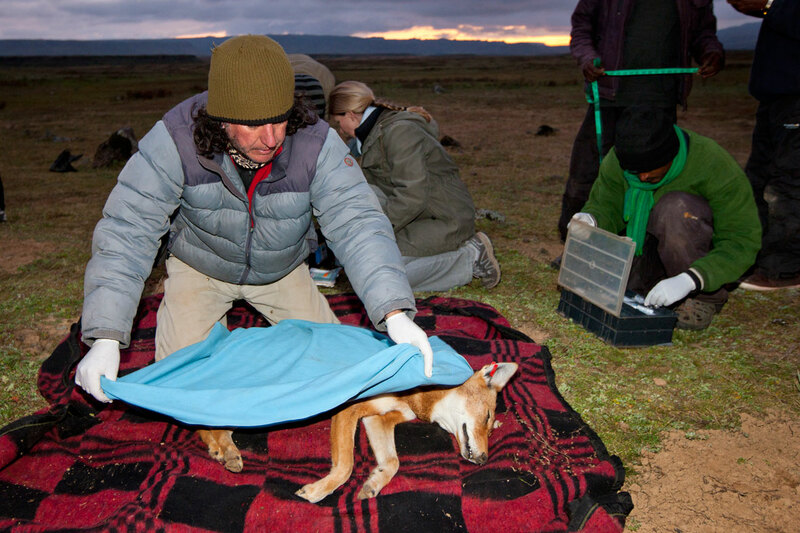 This is no easy place to make a living. 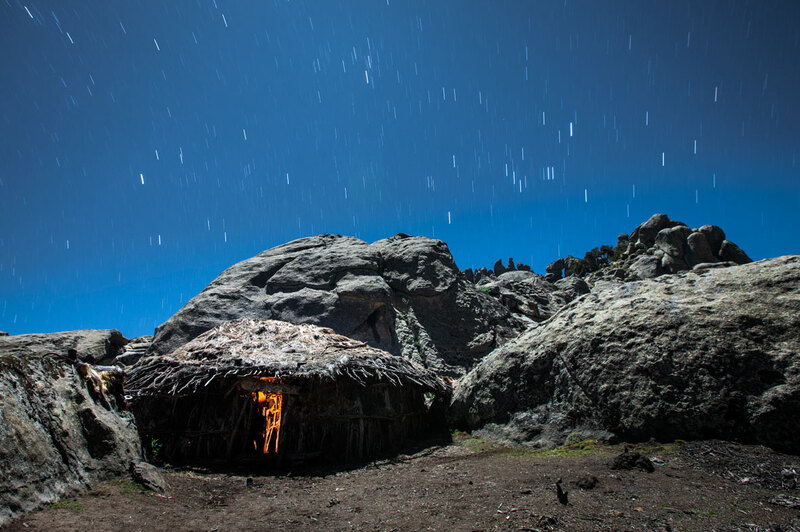 At elevations of 3,000 to nearly 4,500 meters (10,000 to nearly 15,000 feet), conditions here are nothing if not harsh. 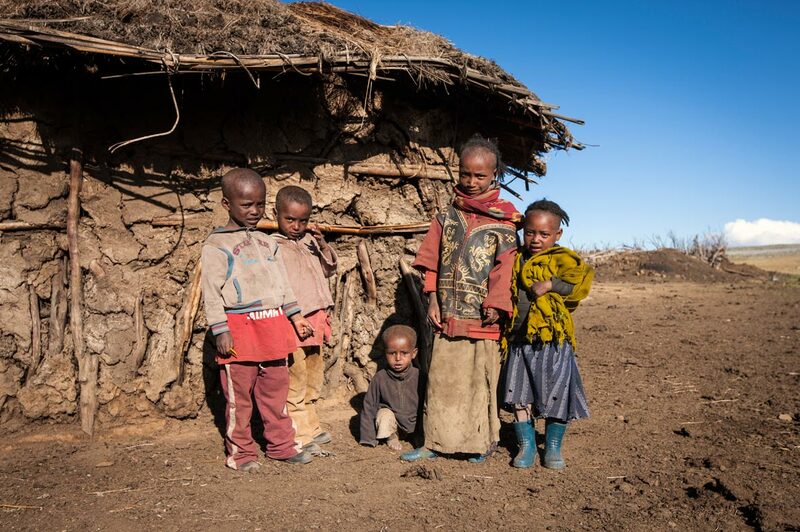 Temperatures frequently dip below freezing, winds howl, and dry seasons can be long and punishing. 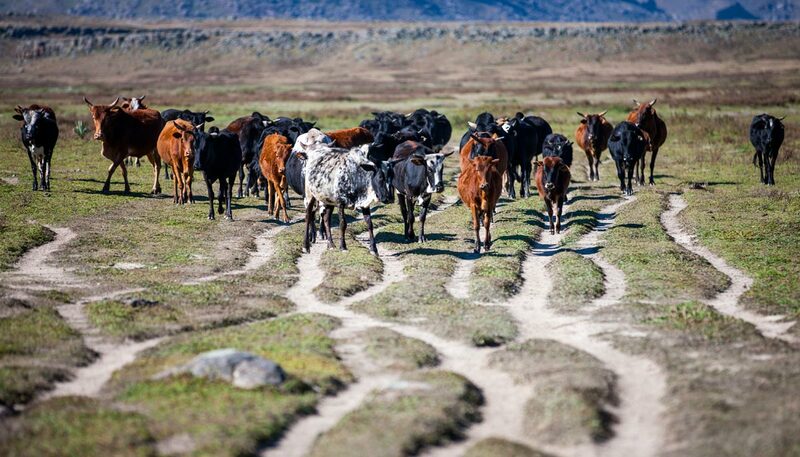 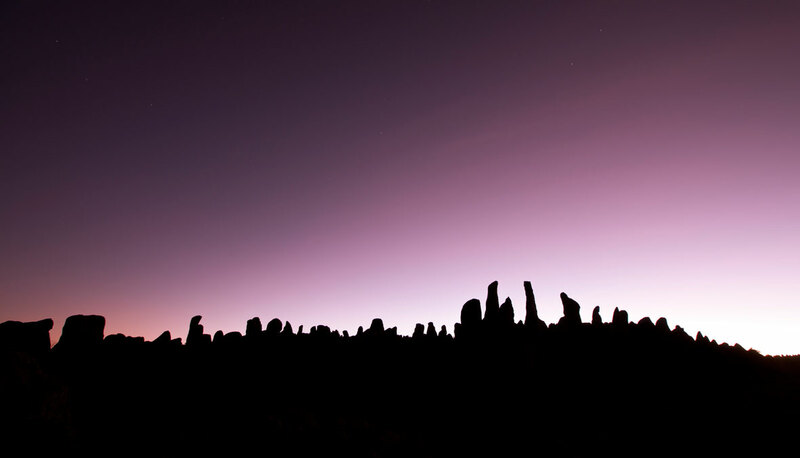 But the organisms of the highlands have had time to adapt to their surroundings. 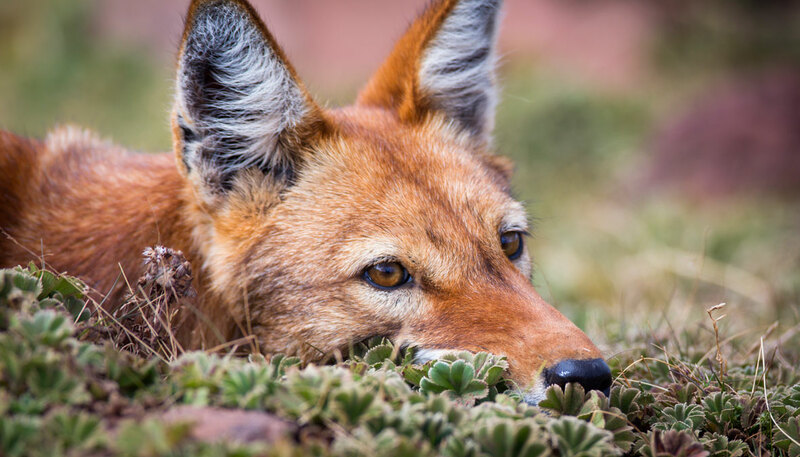 With the exception of the giant lobelia (Lobelia rynchopetalum), most plants here hug the ground, and many of the animals go a step further, seeking shelter below the surface. 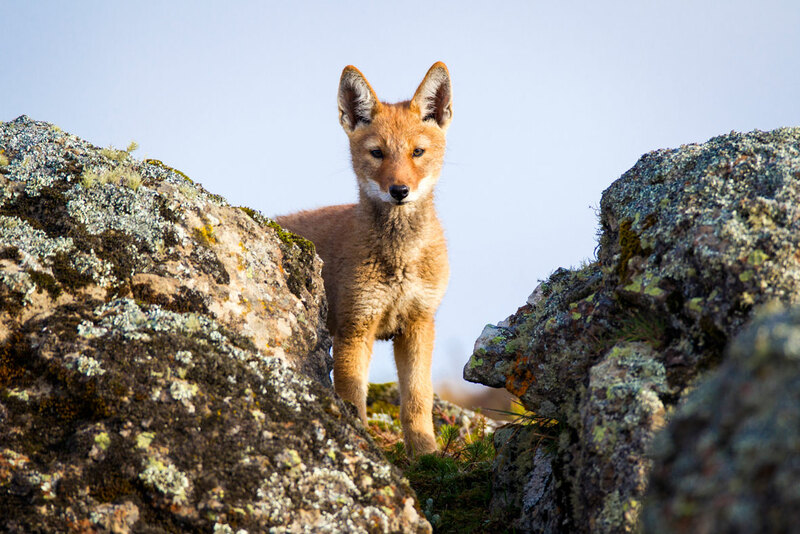 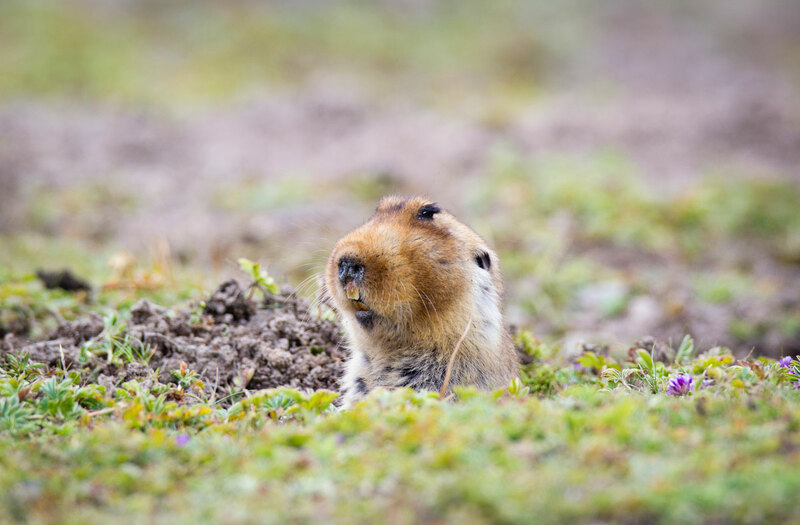 While Ethiopian wolves have persisted on these Afroalpine mountains for millennia, scientists and conservationists are rightly concerned about their future. 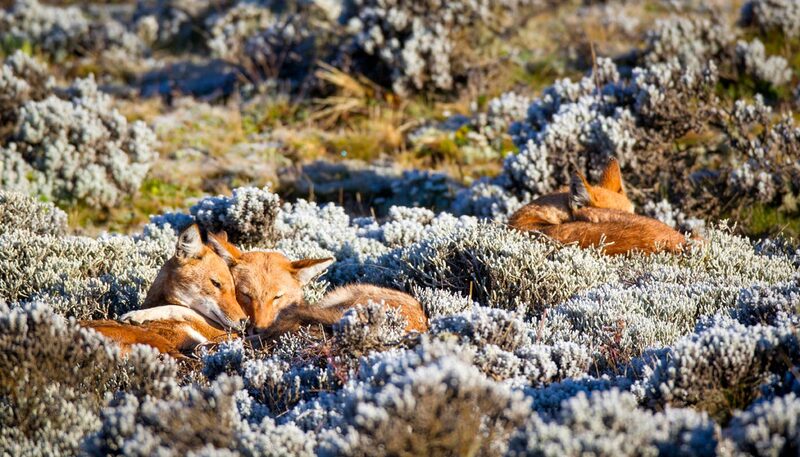 Yes, the carnivores are at the top of the food chain, they face little persecution from humans, and their prey is relatively abundant. 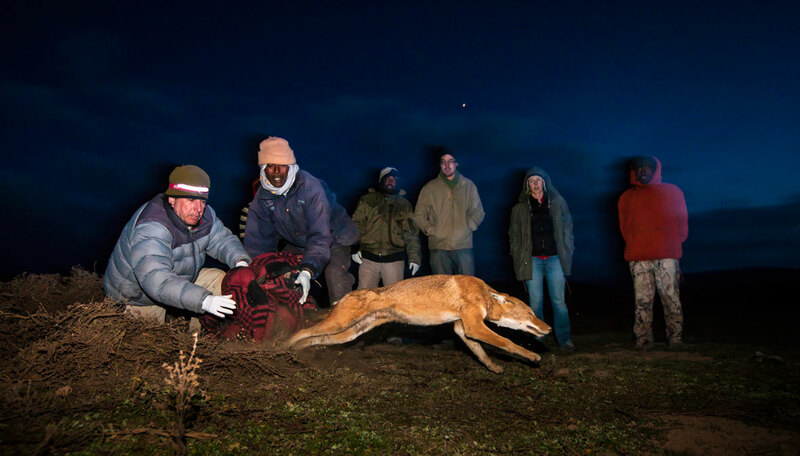 Yet, despite these advantages, researchers who have spent decades studying these charismatic animals and who know them best have witnessed the species’ precarious wobble between existence and demise here on the “Roof of Africa.” Now they’re doing everything in their power to ensure the wolves’ survival. 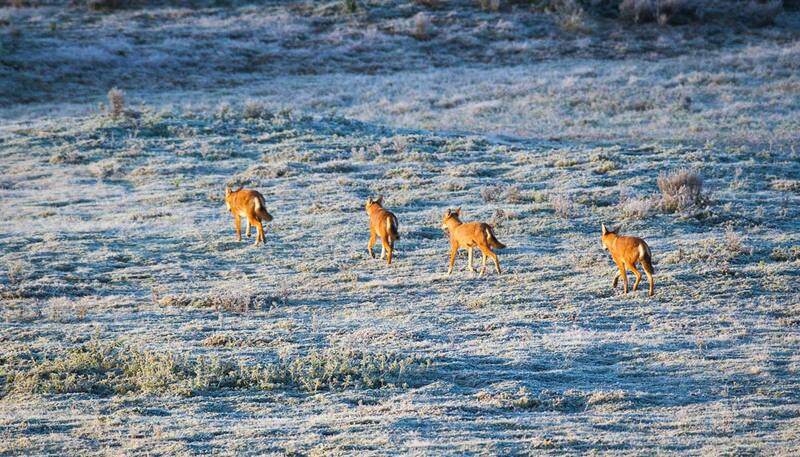 A group of adult Ethiopian wolves trots off to patrol the pack’s territory on a frosty morning in the Bale Mountains of Ethiopia. 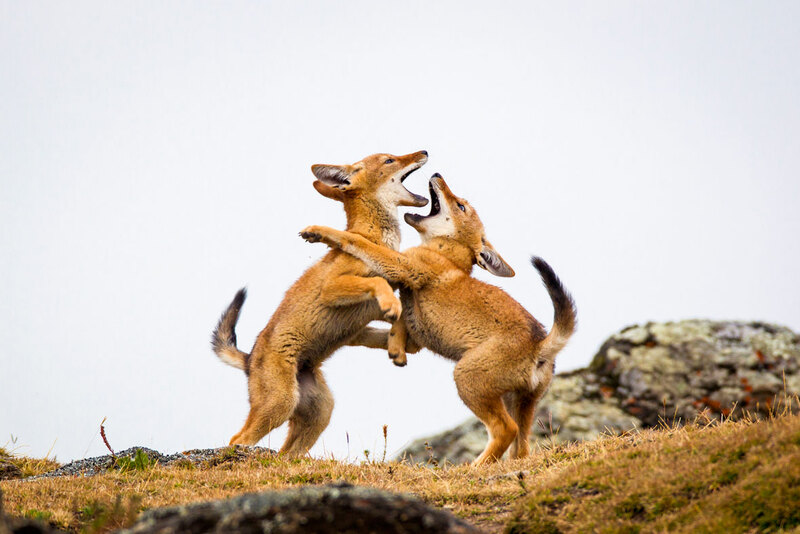 Two Ethiopian wolf pups spar in the Bale mountains of Ethiopia. 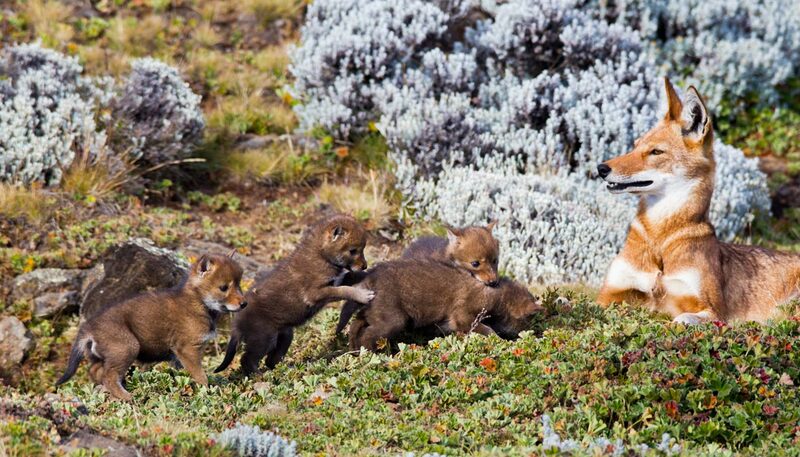 A female Ethiopian wolf keeps watch over her playful litter of pups. 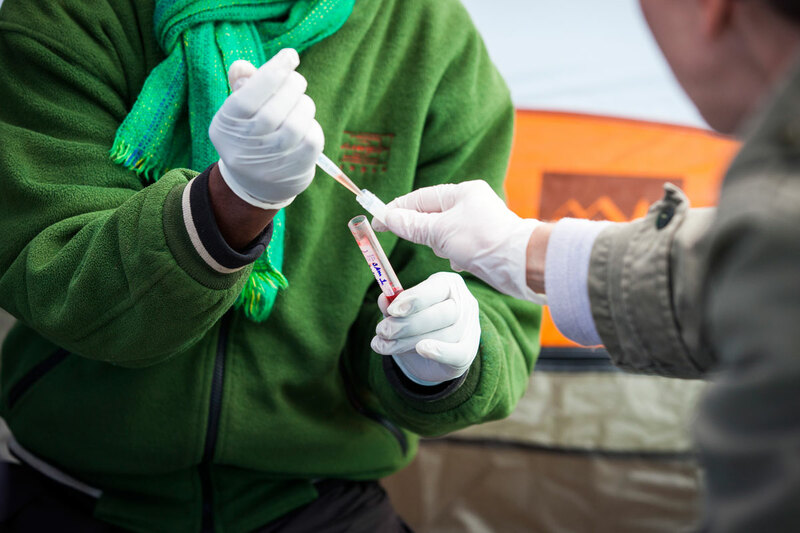 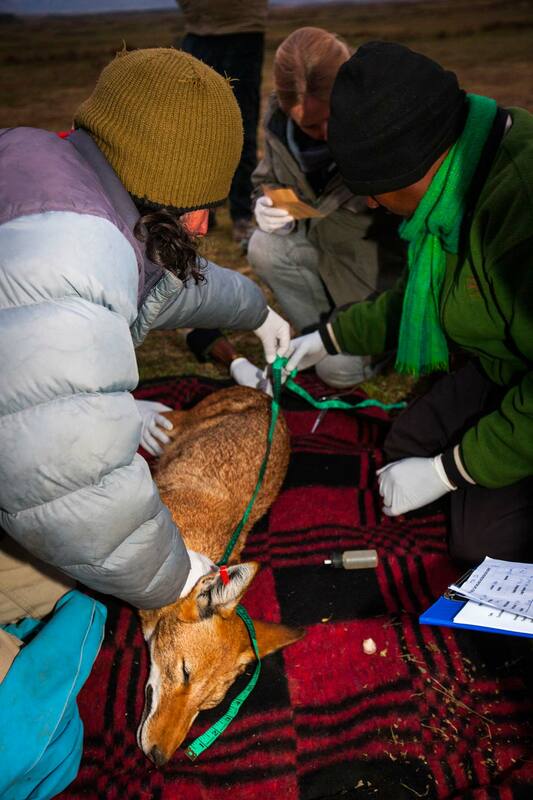 Researchers from the Ethiopian Wolf Conservation Program collect blood samples from captured wolves to test for diseases like rabies and distemper. 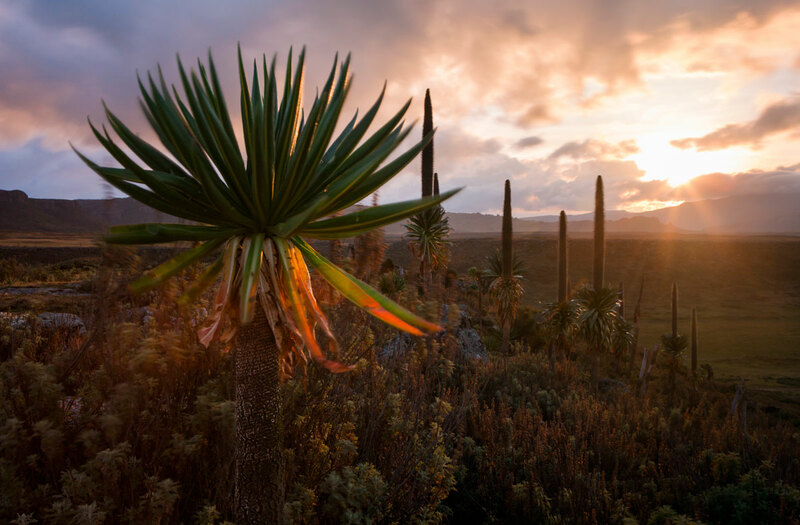 Twilight descends over the granite pillars in Ethiopia’s Bale Mountains.